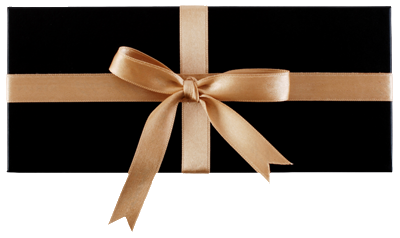 Welcome to Cliff Townhouse Gift Vouchers. To return to our Homepage please click here. Purchase vouchers online now and print them instantly to post with your own card or email them directly to your recipient. Perfect for last minute gifts. If you would prefer one of our signature gift vouchers with brochure to be mailed to you then please call us on 01 638 3939 or email us to request one directly from the hotel. The monetary value of your voucher can be used across all our properties. Cliff Townhouse use a secure online payment provider called Secure Trading to process your credit or debit card details. A €1 handling fee is applied to vouchers sent by email or SMS text to register your voucher with a 2D QR Security Code. You can buy a monetary voucher for a specific value. Please note the minimum value is €20, with incremental increases of €10 e.g. your value amount could be €20, €30, €40 etc. An exclusive book by Martijn Kajuiter, Executive Chef of CLIFF. It offers honest, generous, exuberant insight into the complex nature both of the food at The Cliff House Hotel and the relationships that are needed to create it. Voucher can be presented at hotel reception to receive book. Drop into our light-filled restaurant and order delicious a la carte breakfast cooked to order. 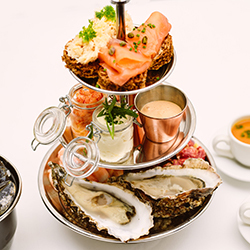 Afternoon Tea with a difference, it’s Afternoon Sea at Cliff Townhouse. Featuring a selection of the finest and most delicious seafood savouries, where, instead of the usual suspects, you’ll find Irish Smoked Salmon served on brown bread, Potted Monkfish, Clogher Head Crab Claws, Harty Farm Oysters, half of the Lobster and a Pot of Mussels. The perfect Cliff Townhouse Gift. A large seafood platter including all the treasures of the sea, with a bottle of Prosecco for two people. The ultimate Irish meal - half dozen oysters and a bottle of Champagne at our Oyster Bar. Enjoy a relaxing Sunday night stay in the heart of central Dublin and an a la carte breakfast the following morning. Price is based on two people sharing in a Townhouse Bedroom. Enjoy an overnight stay in one of our luxury Georgian rooms right in the heart of Dublin city. A la carte breakfast in our light filled dining room, overlooking St. Stephens Green the following morning. Price is based on two people sharing in a Townhouse Bedroom. Enjoy the Dublin cityscape from an open-top, hop-on, hop-off bus. 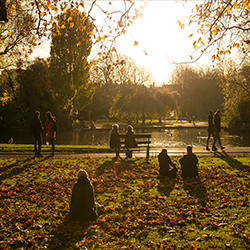 This hotel special offer includes tickets to red route open-top, hop-on, hop-off bus, an overnight stay with breakfast in one of our luxury Georgian rooms in central Dublin, ideally located for stepping out into leafy St Stephen’s Green. Enjoy a delicious three course pre-theatre dinner devised by Head Chef Sean Smith, take in a show and then climb the stairs to a restful overnight stay in a King Size bed in one of our luxury Georgian guestrooms with full Irish breakfast the following morning, all in the heart of Dublin City Centre. This is an ultimate taste of Cliff Townhouse. A glass of Champagne and a warm Irish welcome will greet you on arrival. Your stay will include an overnight stay in one of our Georgian Townhouse rooms, full Irish breakfast and a three course table d'hôte dinner in our elegant restaurant. This package is based on 2 people sharing. Dinner is served from 5pm Monday - Saturday, and from 6pm on Sundays. If you have a query or special request please call +353 1 638 3939.